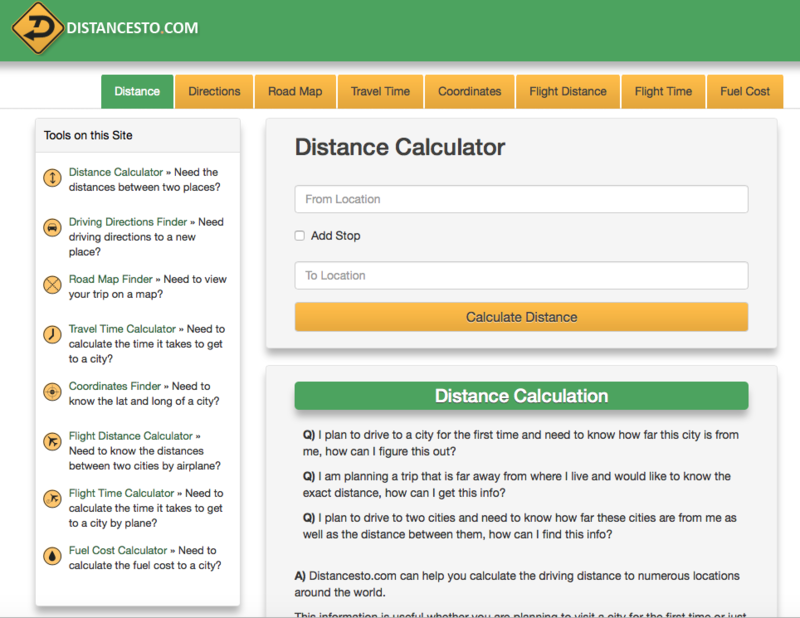 Distancesto.com started as a project which would help people calculate distances and eventually developed into a site that helps you not only calculate distances, but also get questions to answers such as "how much time would it take to get from one city to another?" and "how much fuel will my vehicle consume during my trip to Bangladesh?" Yes, that is correct ladies and gentlemen, Distancesto answers all types of travel questions for people all around the world! So whether you live in America, Asia, Europe or just about any other part of the world, you can get accurate answers to questions regarding your trip. So now that you've learned a little something about Distancesto, you may also want to know a little something about us... Well my name is Danny and I am the lead developer of this project. We are a team of self motivated programmers located in the Tampa Bay area of Florida which love to program! We're always looking at new web tools that we can develop for internet geeks such as ourselves that are not only cool but also useful! So sit back, grab a coffee, take a look around and have fun planning your next trip or planning a trip for someone else! Ohhh! and if you need to contact us, you may do so here.